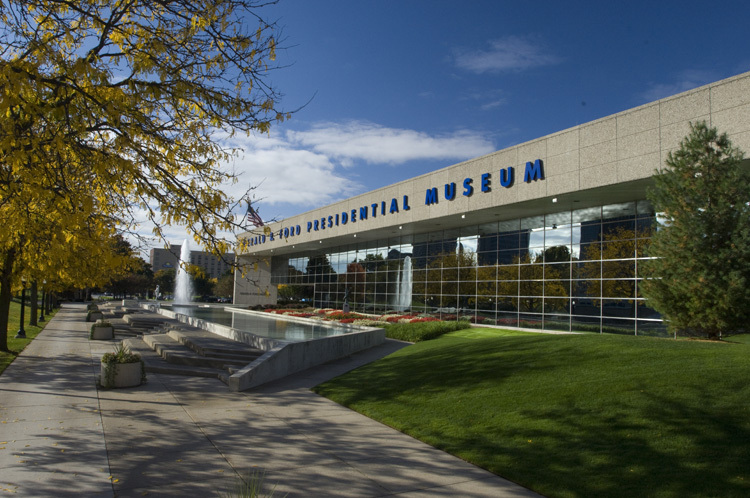 The Gerald R. Ford Presidential Museum in Grand Rapids, Michigan, serves as a historical exhibit to remember the lives of President Ford and his wife Betty. Between possessions and trinkets owned by Gerald Ford, tools used in the infamous Watergate break-in, and a range of other historical exhibits, the museum has played a big role in preserving Michigan and U.S. history. That's why when the roof needed to be replaced in 2011, museum management needed a roofing solution that would ensure the building's irreplaceable contents remained protected. 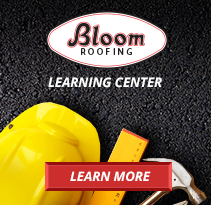 After undergoing an extensive interview process, Bloom Roofing was eventually selected for our expertise, safety program, history of commercial roofing in Grand Rapids, and proven track record with PVC roofing systems. Working closely with staff from the National Archives and Record Administration, Bloom installed a custom adhered PVC roofing system that spanned across the building's 34,161 square foot surface. After completing the job, the roofing performance was described by the general contractor as "the smoothest roof replacement installation seen by site management." Bloom's industry-leading installation service and highly effective roofing solution eventually lead to another job through the NARA in 2012: The Gerald R. Ford Presidential Library. Looking for expert commercial roofing in Grand Rapids? Contact Bloom Roofing's industry-leading team here.